Temple Judea is a vibrant, active congregation in which traditional Jewish rituals are integrated with contemporary forms of expression. We offer inspiring religious services that appeal to Jews from a wide range of backgrounds. Membership in our caring Jewish community offers many opportunities to celebrate all life cycle events, and to develop new friendships, by joining one of our many Havurot. Families, couples and individuals celebrate, baby namings, b’nai mitzvah, weddings, renewal of wedding vows, birthdays and anniversaries in the company of family, friends and extended family. Our lecture series features speakers who address issues of current interest to this country, Israel and the world at large. Our members share a special feeling of community on holidays throughout the year, enhanced by the beauty and comfort of our sanctuary and chapel. The Temple’s social functions encompass traditional Jewish holidays as well as other special occasions, answering the spiritual and secular needs of an enriched Jewish life. 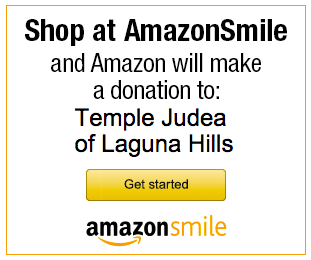 Whether you are new to our area or just new to our congregation, we hope that you will find your spiritual home with us here at Temple Judea.